Transportation reporter Mike Lindblom answers your questions about the future of Sound Transit's light-rail projects, which are facing growing budget pressure from rising land values and construction costs. Sound Transit, the Seattle region’s public-transportation agency, is embarking on an ambitious voter-approved $54-billion plan to finance light-rail, commuter-train and bus-line extensions over a quarter-century to new corners of the Puget Sound area, including Bellevue, Everett, Tacoma, and new booming urban areas of Seattle, like Ballard and West Seattle. 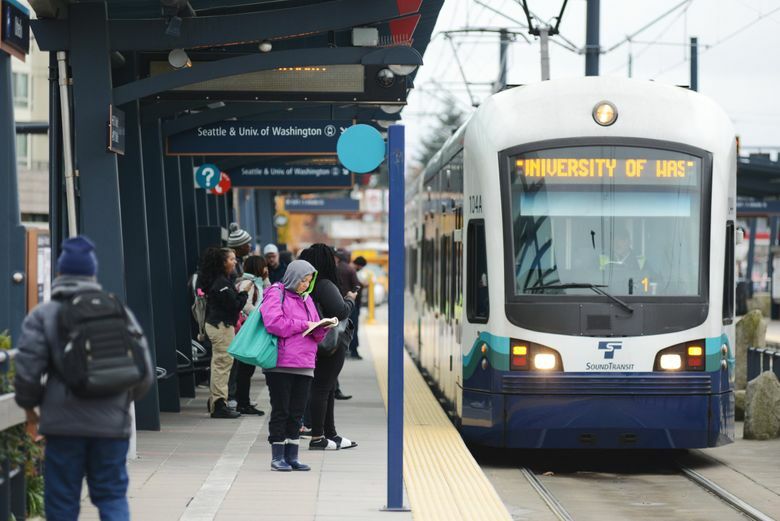 Even before the passage of last year’s Sound Transit 3, the Seattle area was spending more, per capita, on new transit projects than any city in the country, according to data compiled by the Federal Transit Administration. Recently opened transportation projects show why there’s a willingness among the public to expand the region’s rail network: last year’s opening of the $1.9 billion University Link extension is already beating ridership expectations with the addition of the University of Washington and Capitol Hill stations. But Sound Transit is facing strong financial headwinds. It turns out the agency is vulnerable to market forces, just like homebuyers. The Northgate to Lynnwood extension is already estimated to be more than $500 million over budget, a result of our region’s hot economy that is causing property values to skyrocket, and leading to soaring construction costs for the agency. Demands from cities, including public event plazas, noise walls, wetlands protection, parking garages and more, are also weighing heavy on the project. Can Sound Transit get the project back in the black and on track? How will the region’s pricey land values impact other projects? Transportation reporter Mike Lindblom will answer ST1, ST2, and ST3 related questions, and those from Reddit users, during a one-hour question-and-answer session starting at 11 a.m. on Thursday. The Reddit thread can be read here.